A sunflower was the inspiration for this quilt block. It was designed and laid out on a quilt board ready for painting by Mr. Terry Early. Terry is the fifth generation of Earley’s who have lived on this farm. 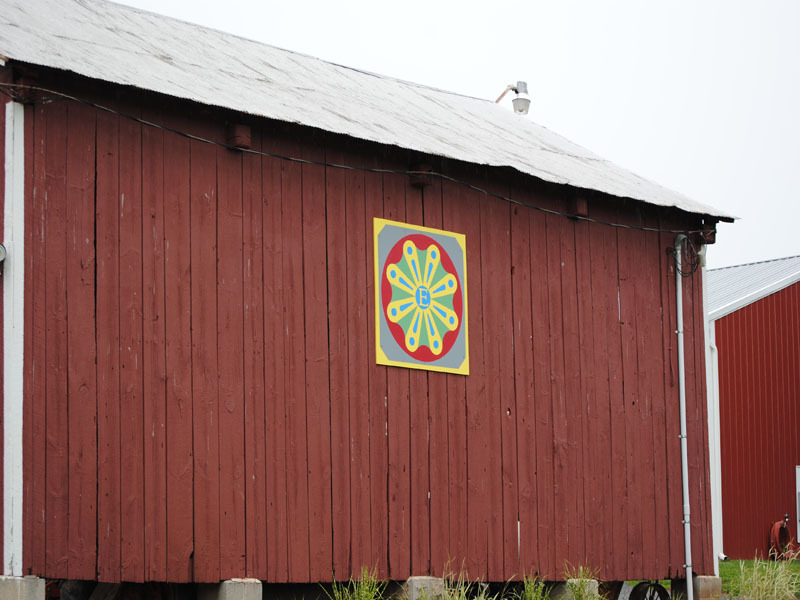 The pattern was also designed to represent the total of eight generations of Earley’s who have lived on the farm over the years. The Earley homestead was built in 1862 and the eighth generation now lives on the farm in Wells Vally.